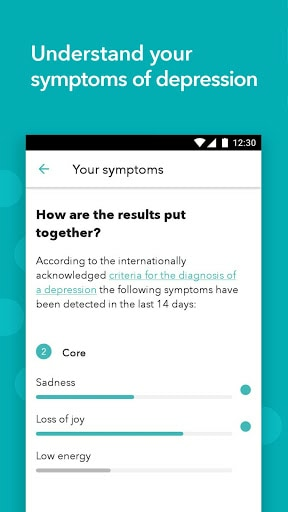 Moodpath is an interactive depression and anxiety screening program. 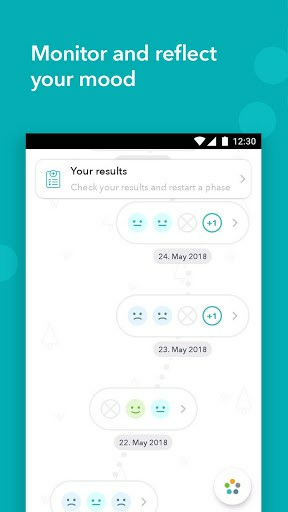 It tracks your psychological, emotional and physical wellbeing and generates a personalized mental health assessment that you can discuss with therapists. If you experience symptoms of depression and anxiety like sadness, low self-esteem, brooding, fatigue or sleep problems, this is not uncommon. In fact, it’s a normal part of human psychology! But if you feel that these complaints last longer than a couple of days and they become a burden, you might want to check up on your mental health. 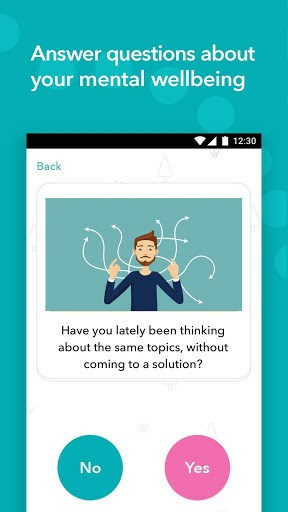 Moodpath is a depression app that helps you track, monitor, and understand your complaints in a structured manner. 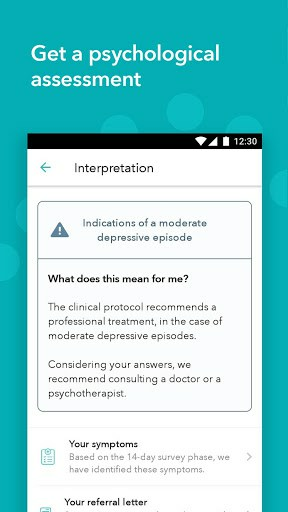 At the end of the program, you will receive a detailed summary that you can also share with healthcare professionals, e.g. therapists, psychiatrists, or general physicians. During the screening period, you will find helpful information on psychology, signs of depression, therapy and mental health.